STANDING IN A ROOM full of paintings by Vincent van Gogh is a religious experience if ever there was one. 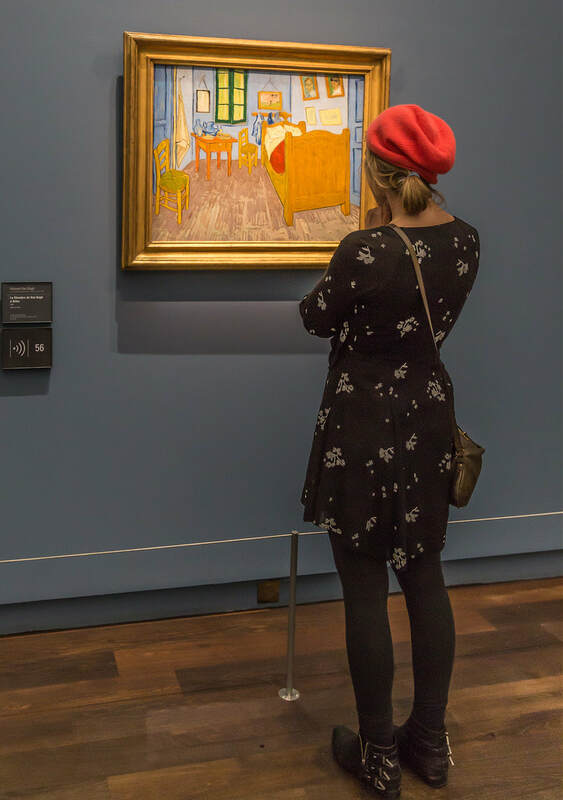 When the van Gogh exhibit from Holland came to Los Angeles, nothing could stop me from being there. It was a pilgrimage. Standing in the midst of self-portraits and peasants and crows and flowers—color and light and simplicity—I wondered as my heart took a leap: What was the inspiration behind this red haired man of mystery, myth, and madness? 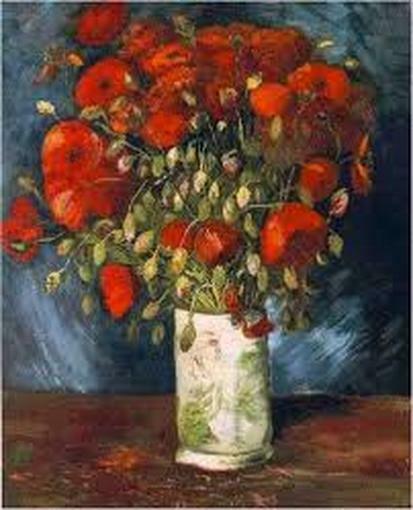 Vincent looked to a God beyond the usual lawgiver model of his day, to one who is Love incarnate in the world. He says in a letter to his brother Theo, “What a mystery life is, and love is a mystery within a mystery. It certainly never remains the same in a literal sense, but the changes are like the ebb and flow of the tide, which leaves the sea unchanged. The love in this man’s heart is juxtaposed with the pain from his mental illness. 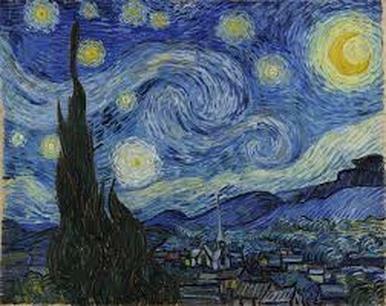 But it was in this disharmony—this very imperfection—that Vincent took hope in a future that was full of possibility. 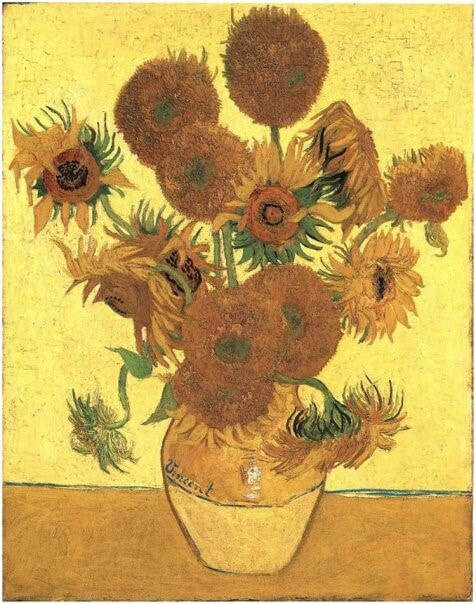 Imperfection in his illness and in the larger flawed creation of human pain was part of what he saw God to be: the vulnerable Struggling Artist in process of creating a universe of Beauty. 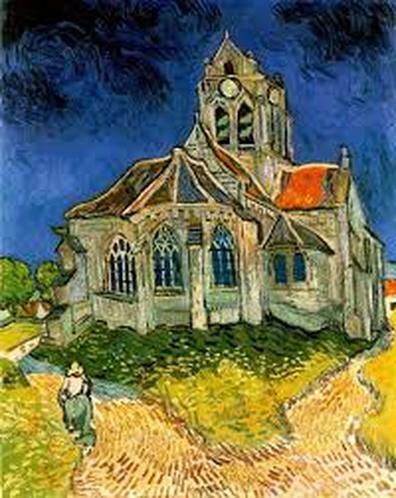 When Vincent pledged himself to be an artist in 1880, he had surely left behind the “God of the clergyman”—the same God that Nietzsche proclaimed dead—and turned to this more expansive view of God, a God who loved many things. In this transforming image, van Gogh’s God becomes intimately vulnerable, and at the same time, a mystery that lures us into the depth of things. I look again at his art, this time with new eyes. 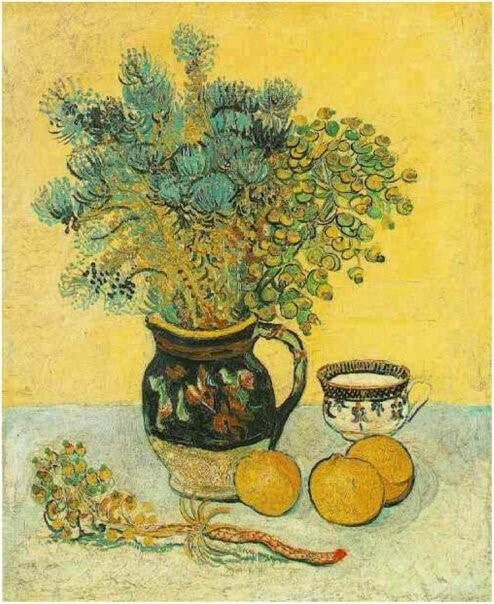 I see both aspects of his God in his paintings—the earthy simplicity of peasants in a field, and yet the dreaminess of his work that is without detail. This God of both concrete personal experience and dreamy mystery unfolds in color and light and texture. 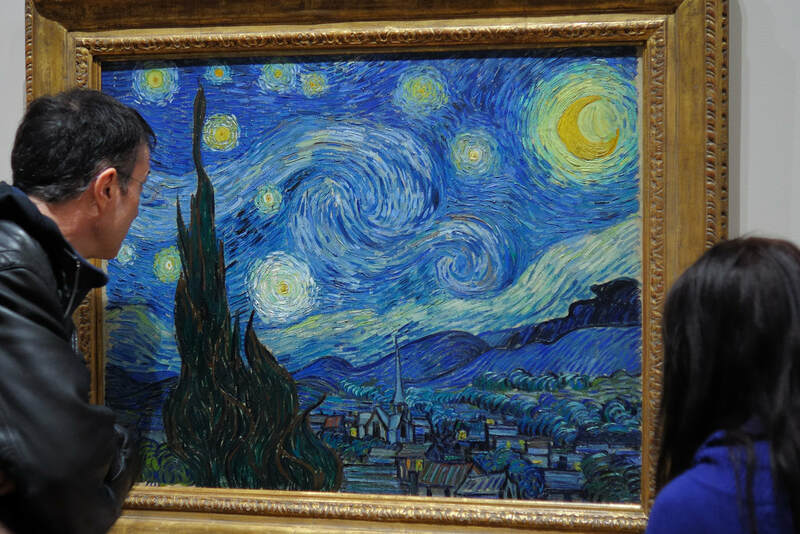 The Struggling Artist needs van Gogh’s vision of love. And mine, too. And yours. We are all a part of it, this grand work of painting love in the world. I feel a kinship with this man of mystery because his life was a quest for unification, a search for how to integrate the noblest ideas in religion with art, literature, and nature. 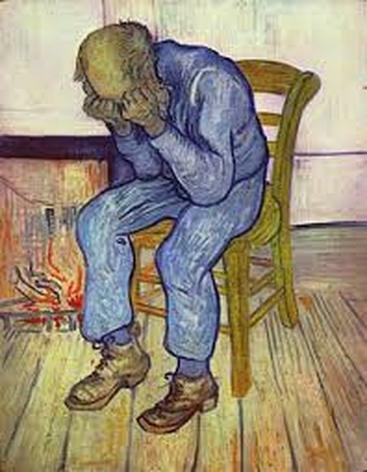 His mental illness may have taken his life much too soon, but what he left behind only grows more powerful as lagging human sensitivity to divine tenderness catches up to Vincent’s own. His art speaks to us. No. It shouts out to us in color and light and texture and form: God is in all things! And so it is to all things we must give our love. THERE ARE SO MANY KINDS OF PRAYER and so many ways to pray. We can pray with words and without words. We can pray by reaching out into a vast mystery, the Deep Listening, saying "help" or "thanks" or "wow." And we can pray by resting in a silence of our own hearts, without saying anything, sensing that all things are enfolded in a love beyond our understanding, yet also within each of us. How might we name these two kinds of prayer? I will speak of them as "reaching out" prayer and "contemplative" prayer. Both kinds of prayer make good sense from a process perspective, but here I want to put in a word for "reaching out" prayer. I focus on reaching out prayer because I meet people who somehow think that it is inferior to contemplative prayer. They prefer quiet sitting, without words, to saying “help” or “thanks” or “wow.” They are suspicious of the idea that the universe includes a Someone who receives and responds to prayers, perhaps because this Someone is too often imagined in overly anthropomorphic terms: a king on a throne. But we process thinkers believe that the Someone can be imagined on the analogy of a cosmic self whose very body is the universe. The Someone who hears prayer is the very Soul of the universe and her name is Love. For us Love, human or divine, has two sides. It always begins with listening, with feeling the feelings of others, with empathy. It is vulnerable: sharing in the sufferings of others and also the joys like a loving parent. Love then responds to what is felt by offering possibilities for healing and wholeness, for spiritual aliveness, relative to the circumstances at hand. Love listens and responds, listens and responds, listens and responds, again and again, like a loving Abba, or a Buddhist Bodhisattva. Love is patient and kind. Love is not a king on a throne. "Reaching out" prayer is an act of reaching into, of giving yourself to, the receptive side God, to the Love that is always listening. This “reaching out” is not a denial of individuality; to the contrary it is an act of self-expression, of saying "here I am" to the Self in whose love all things unfold. It is establishing a relationship between You and You: one of them human and the other divine. Imagine a Buddhist lighting incense and placing it in front of a statue of Kuan-Yin, and then bowing. Or a Christian doing the same before an icon of Mary. In the folding of the hands, in the kneeling, both are placing themselves in the presence of the deep Listening. They are doing the Great Work. The spiritual practice of you challenges us to become all we are meant to be as God's beloved sons and daughters. We are, after all, co-creators of the Great Work of the universe. By attuning ourselves to what in different traditions has been called the image of God, the everlasting soul, or the higher self, we are able to fulfill our mission in life. If we think of prayer as a practice of You, as a Great Work, then from a process perspective every entity of any sort is doing this all the time, naturally. Everything is expressing itself into God just in being itself. We humans can turn to God in an intentional way, addressing our prayers to God. But everything does this in a natural way. “The heavens and earth declare the glory of God,” says the Psalmist. In our time, it can help us humans to realize that, in praying, in addressing God, we are joining a cosmic chorus. Even the stars pray. 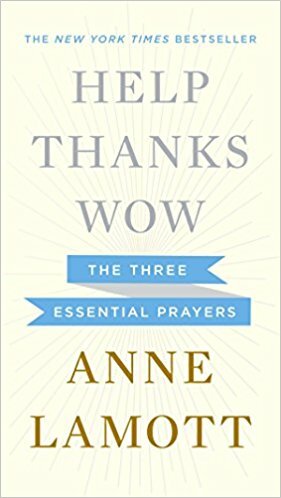 Here I am borrowing from the best-selling book by Anne Lamott: Help, Thanks, Wow: The Three Essential Prayers.